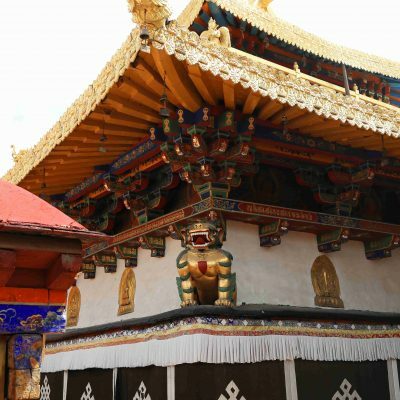 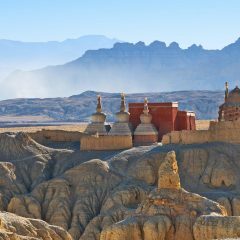 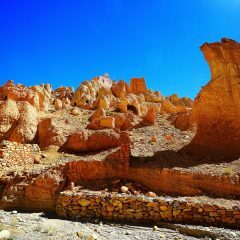 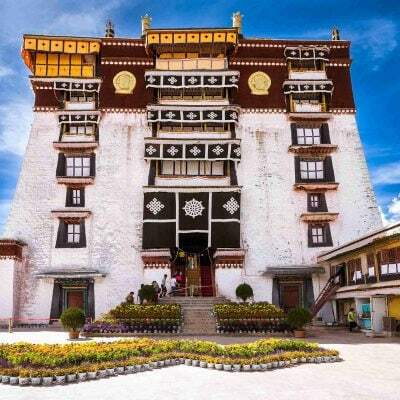 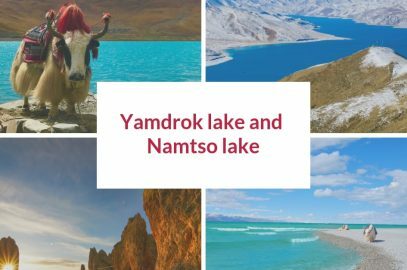 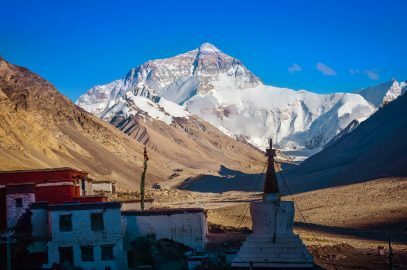 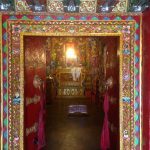 The 8 days tour to Namtso Lake and Reting Monastery will take you to the most beautiful places in Northern Tibet. 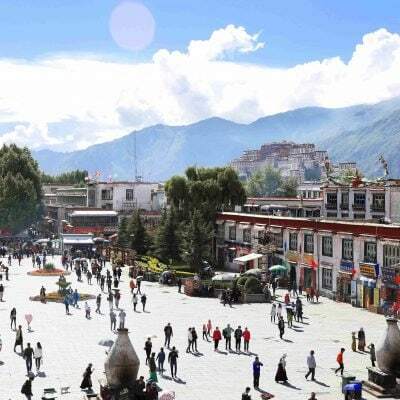 We will begin the tour in Lhasa, the capital of Tibet. 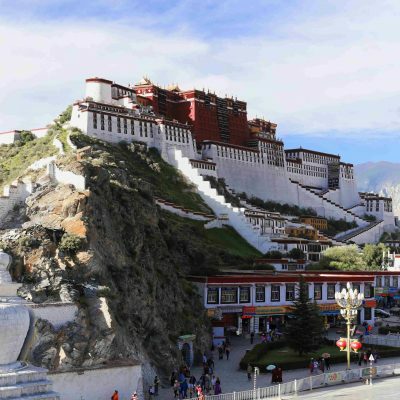 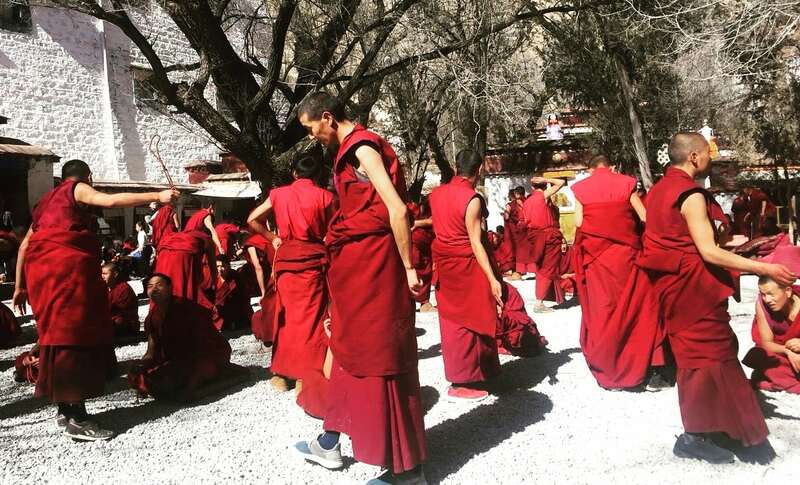 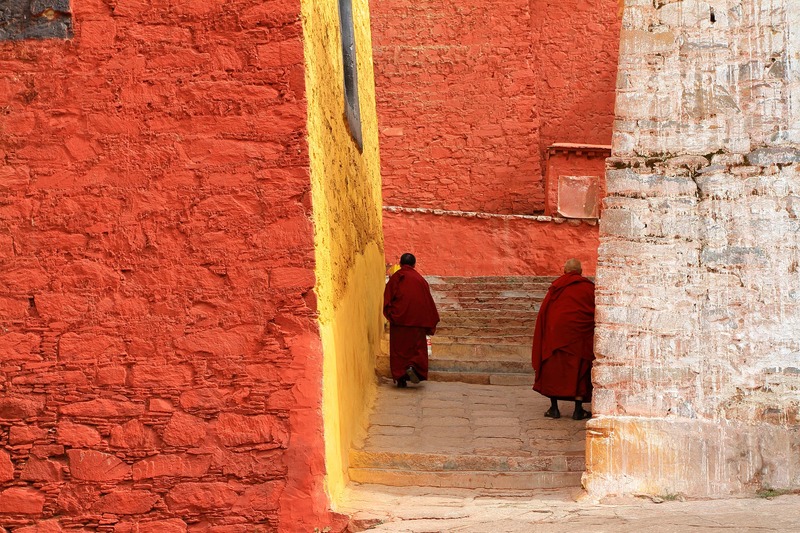 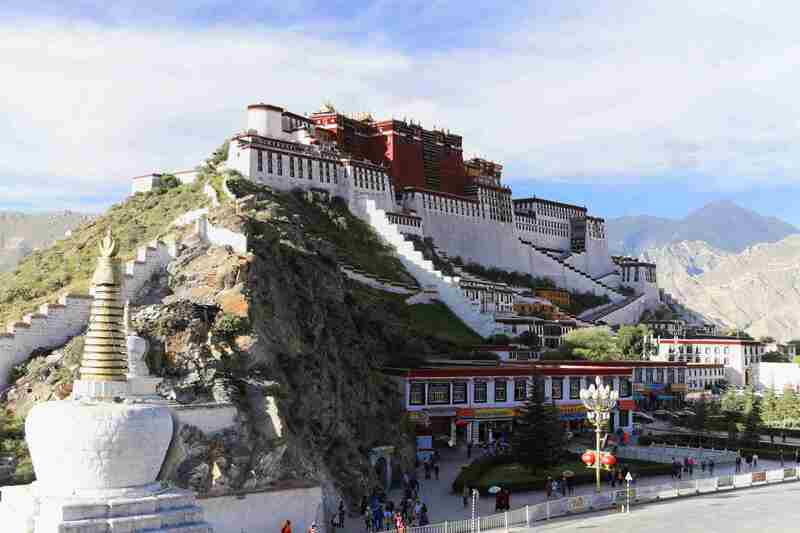 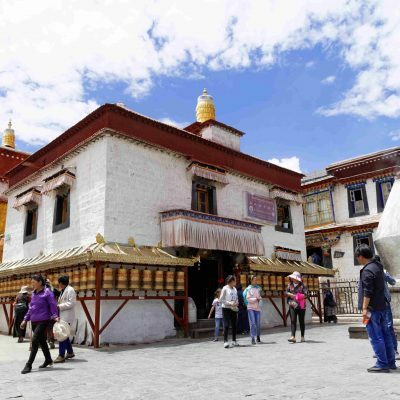 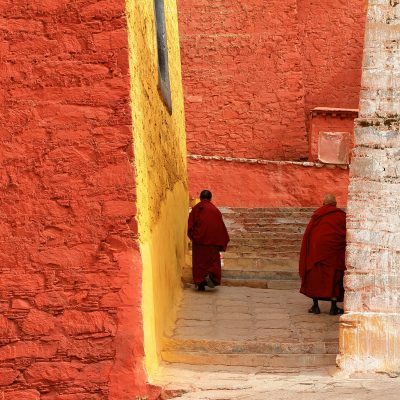 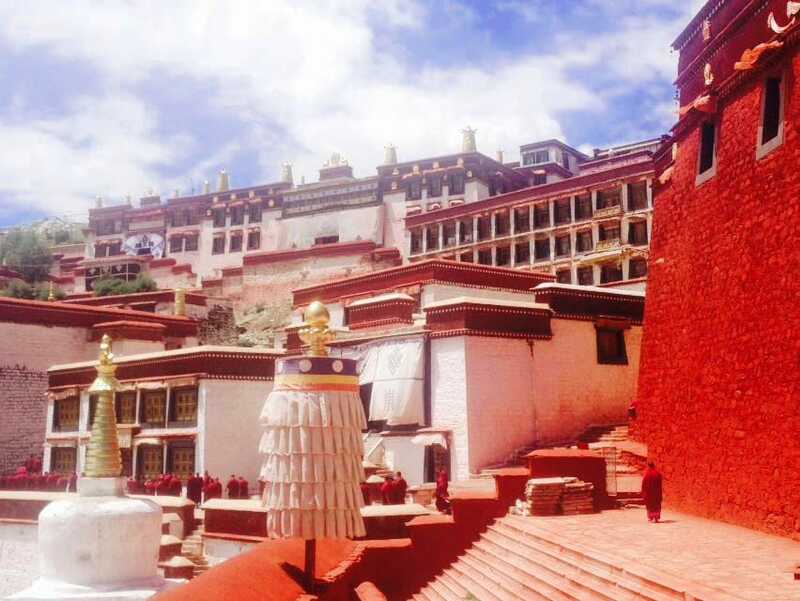 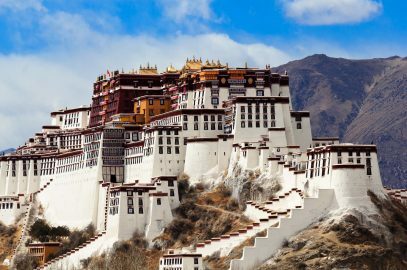 In Lhasa, we will visit the most significant and interesting historical and religious places. 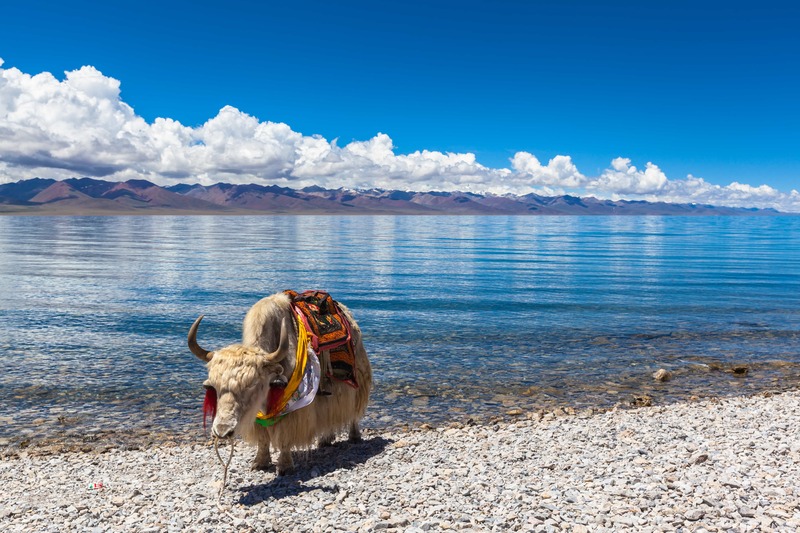 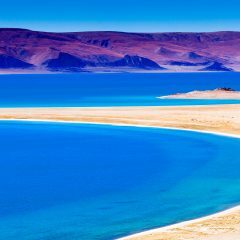 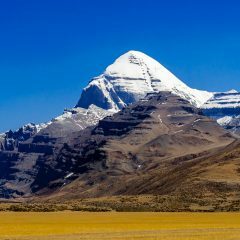 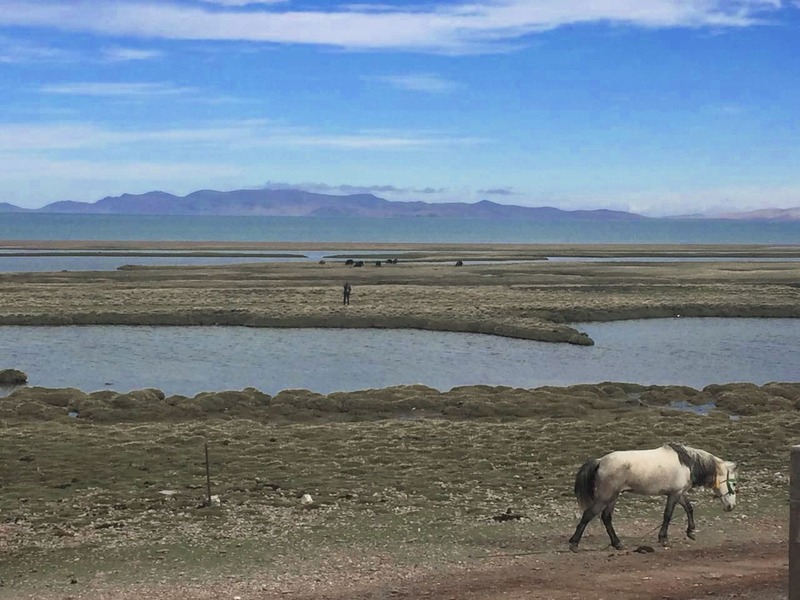 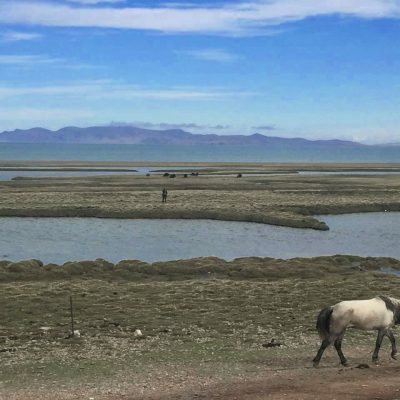 After that we will head North, to the largest salt water lake in Tibet. 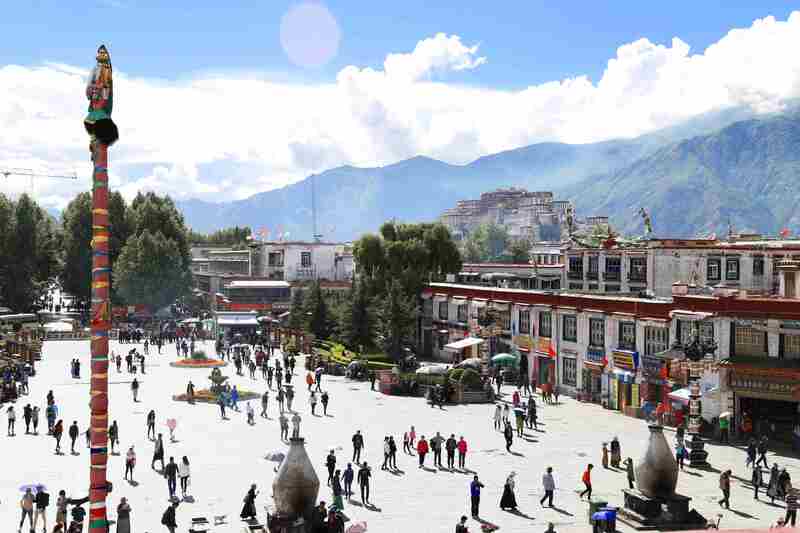 Main Attractions: Potala Palace, Jokhang Temple, Drepung and Sera Monasteries, Namtso Lake, Reting Monastery. 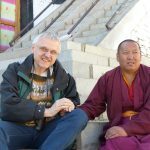 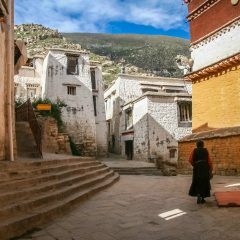 In the morning we will head East towards Ganden monastery. 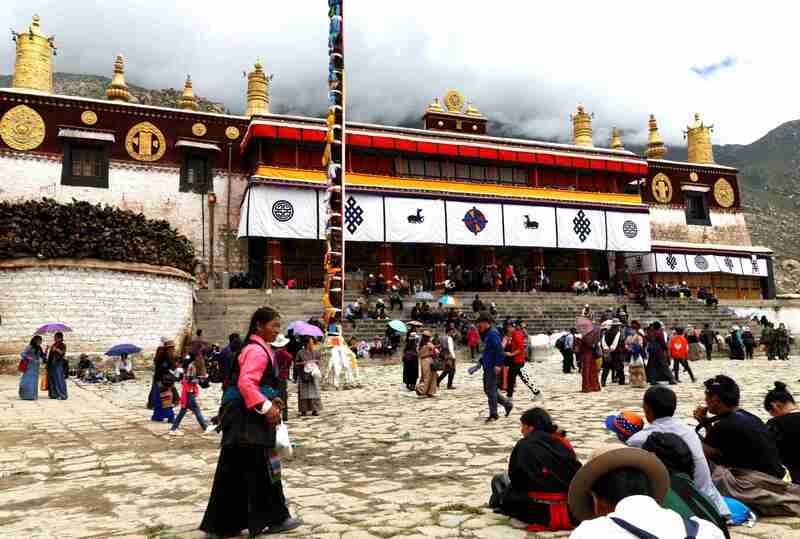 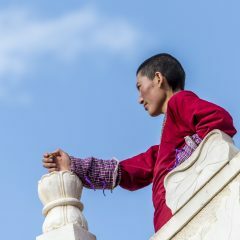 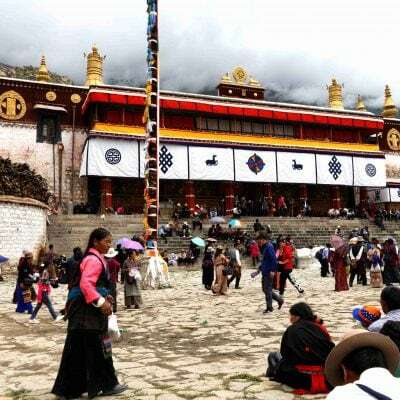 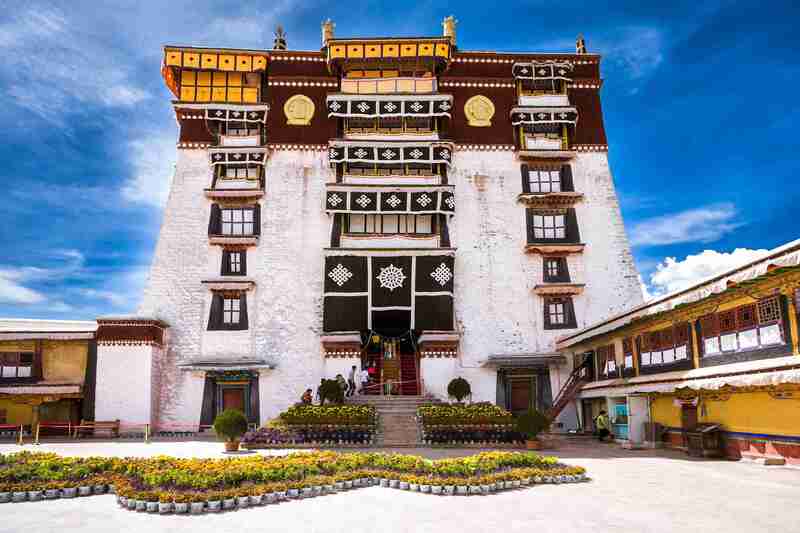 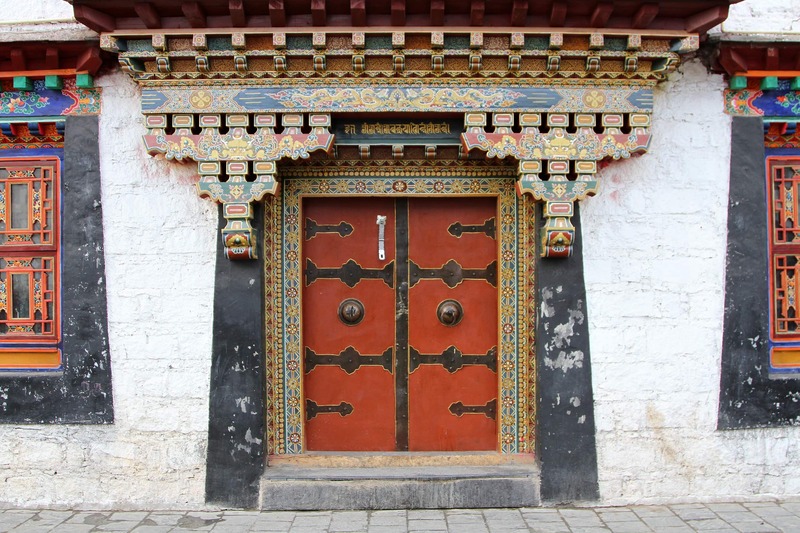 It is one of the most important monasteries of the Gelug or Yellow Hat sect. 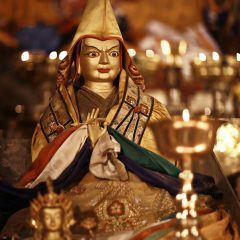 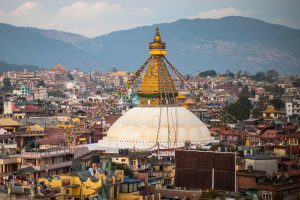 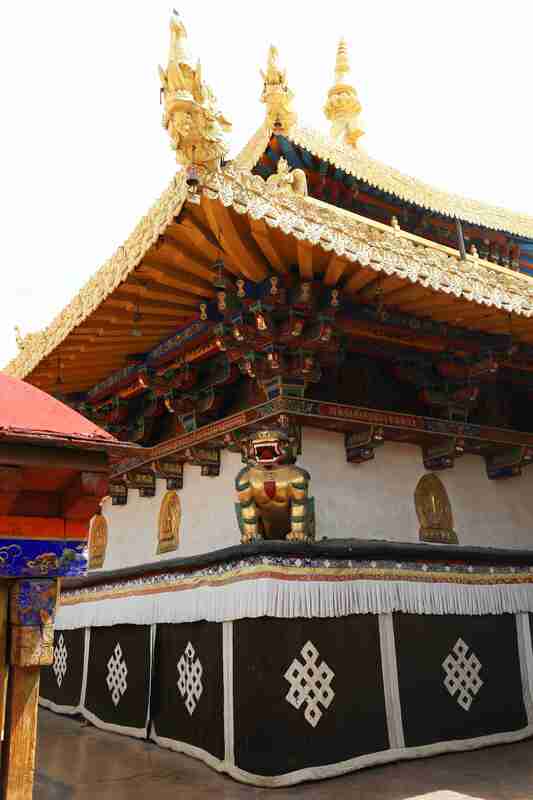 It was founded by Tsongkhapa, who was the founder of the Gelug sect in 14th century. 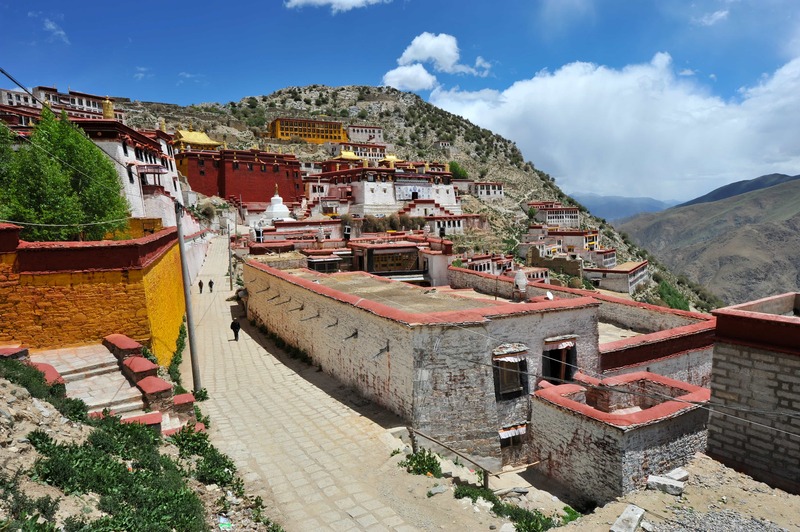 The monastery is build on a mountain, overlooking the vast valley. 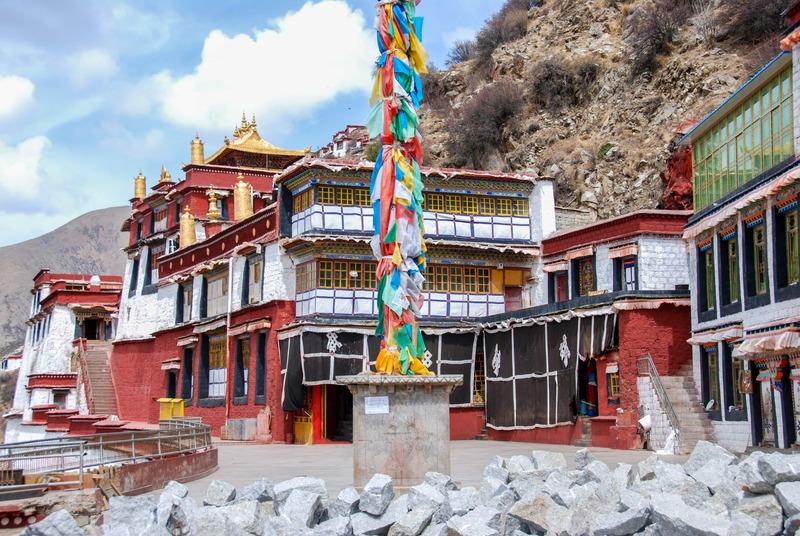 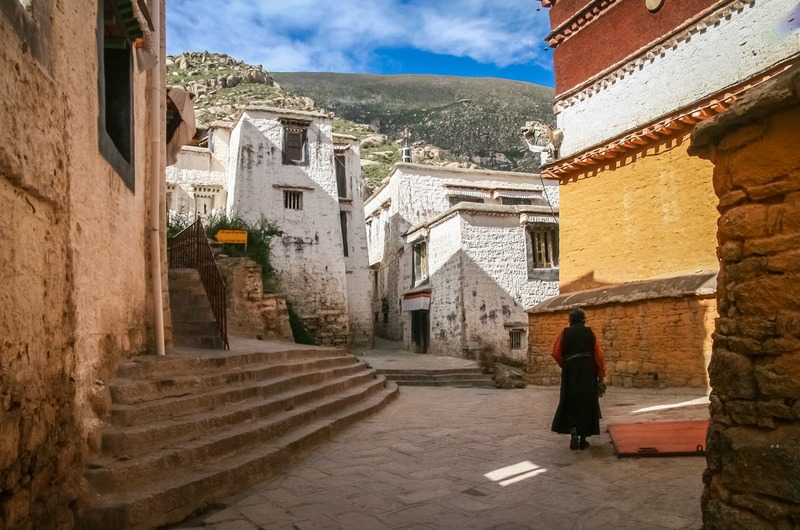 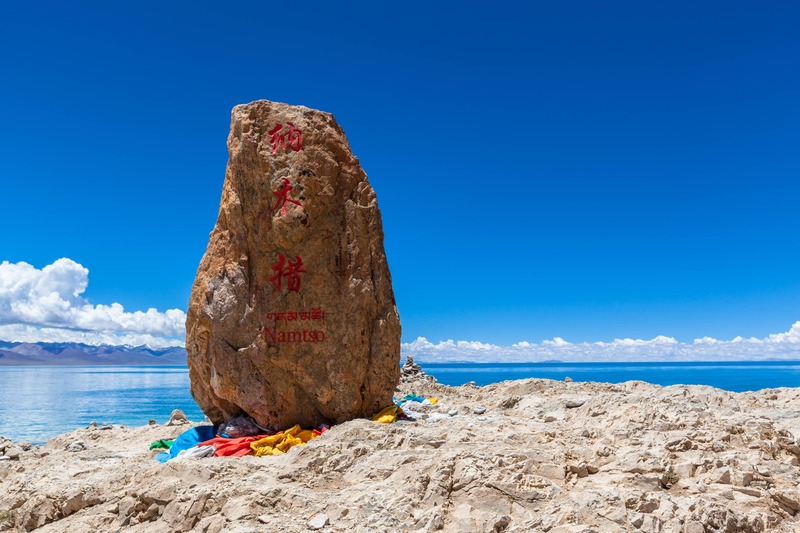 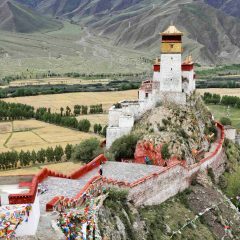 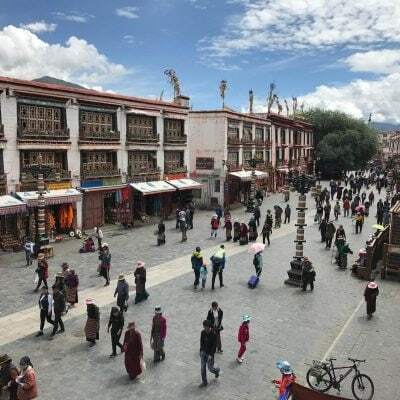 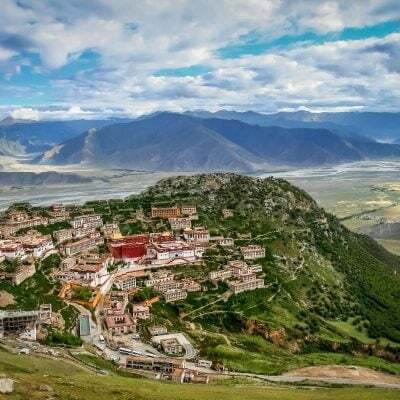 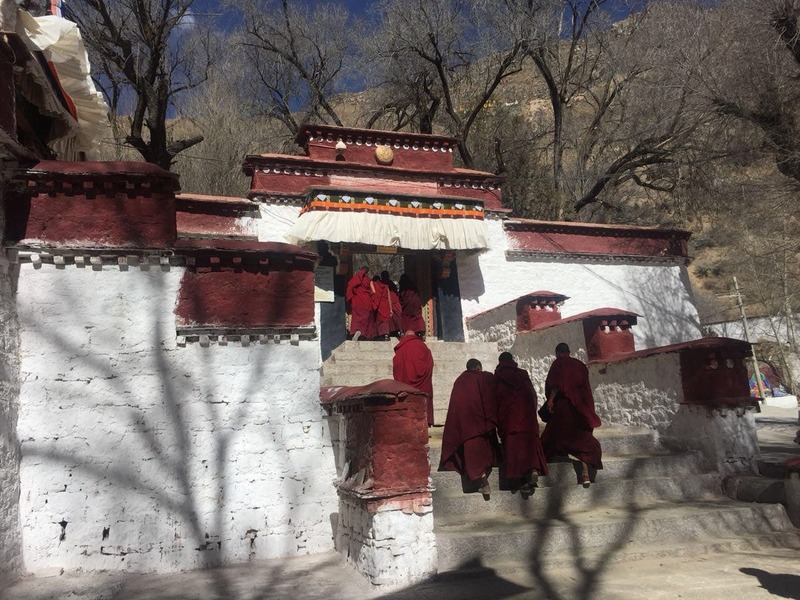 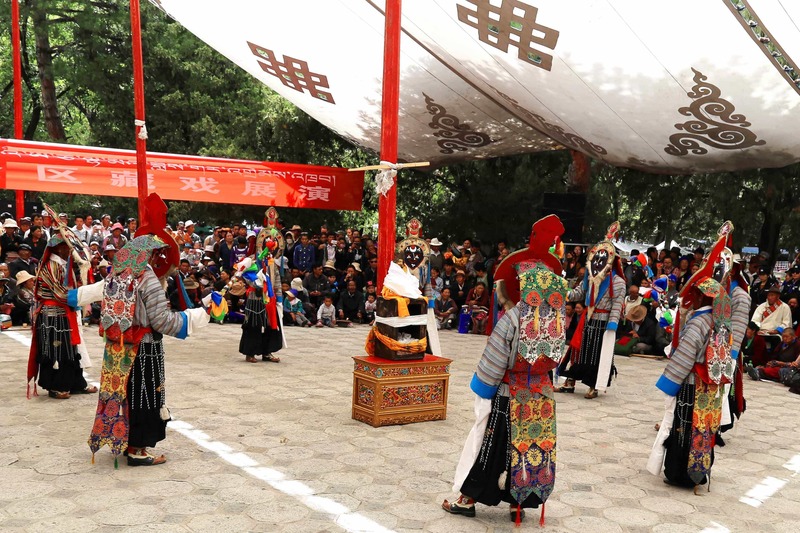 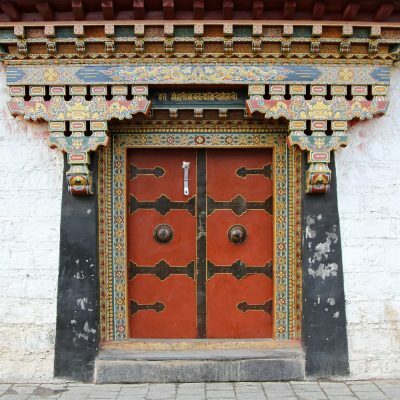 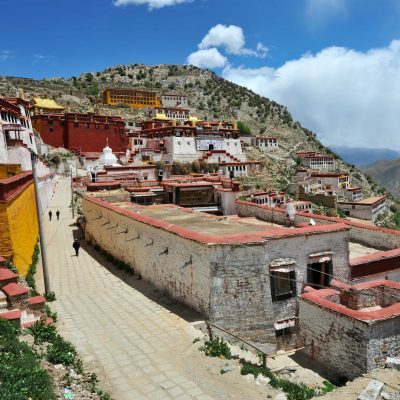 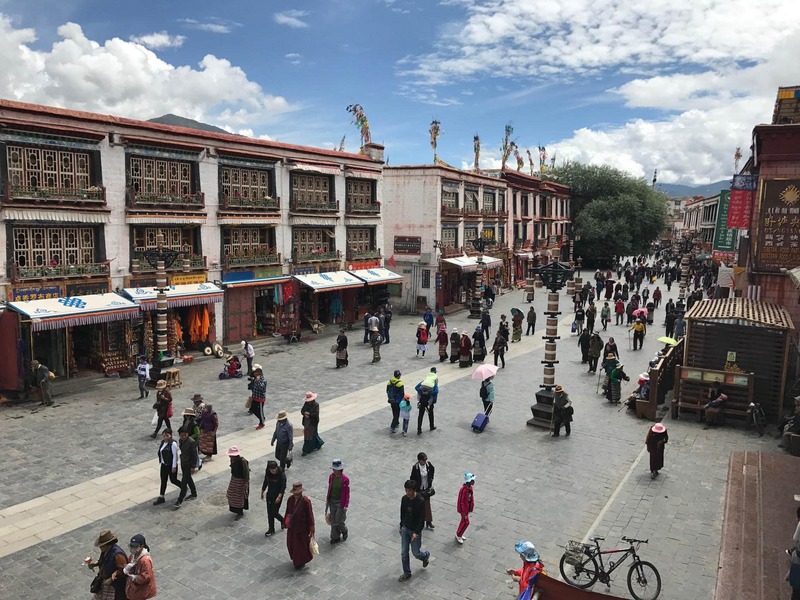 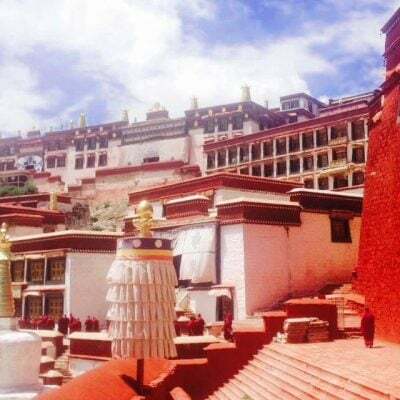 It is also the starting point for one of the historical routes connecting Ganden with Samye – the first Buddhist monastery in Tibet. 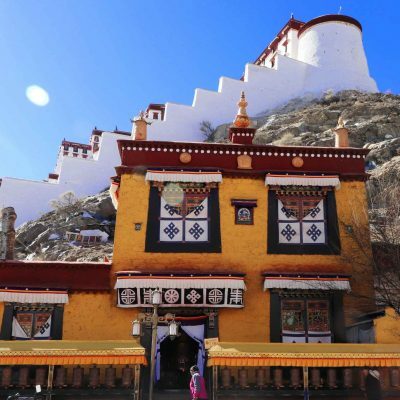 We will visit the most important chapels and the monastery’s Assembly hall. 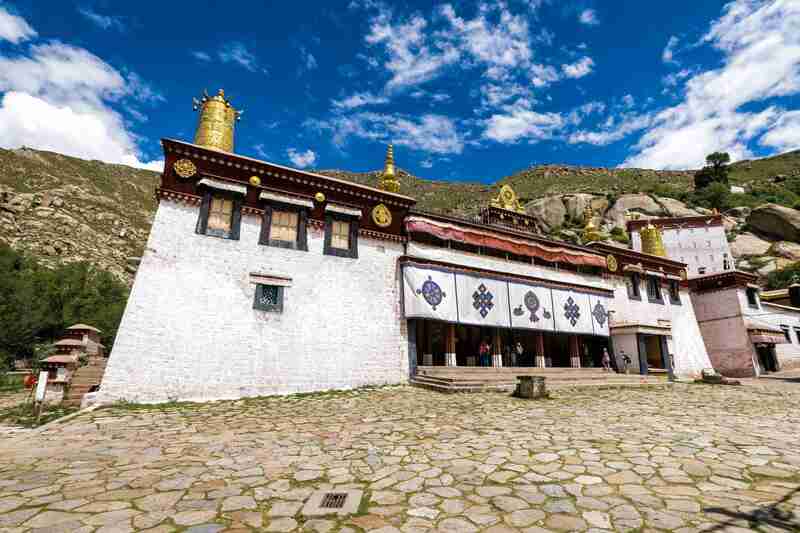 After visiting the monastery, we will drive to Tidrum Nunnery. 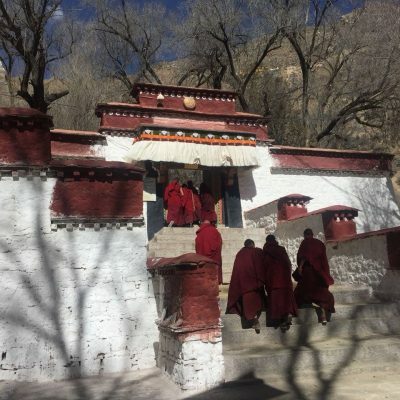 We will reach the nunnery in a beautiful natural setting. 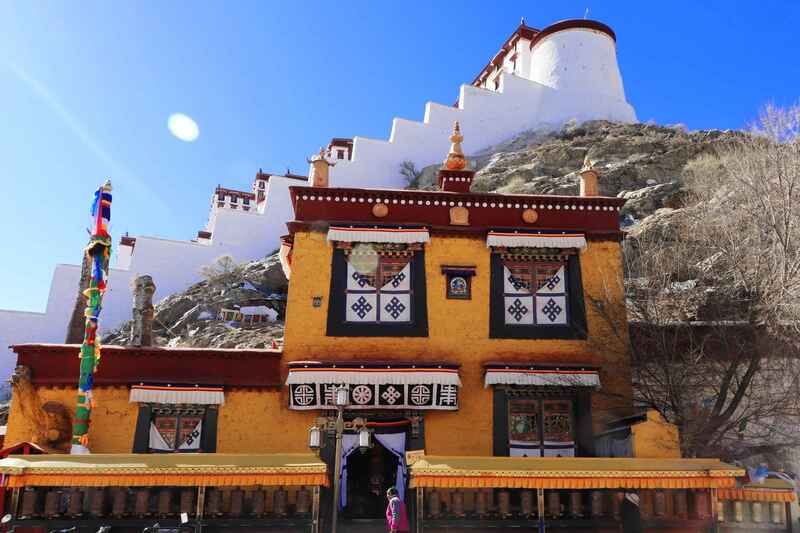 There is a complex of meditation caves on the hills surrounding the nunnery. 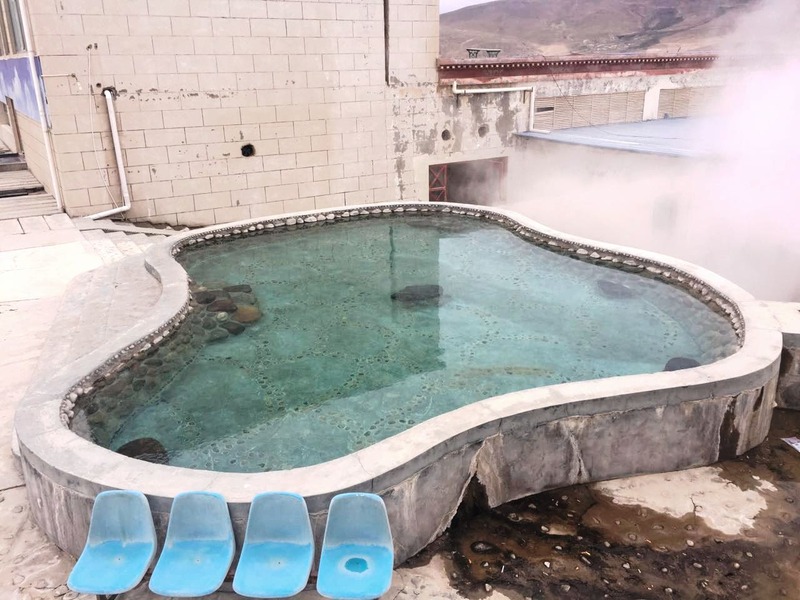 Many visitors come here because of the Hotspring. 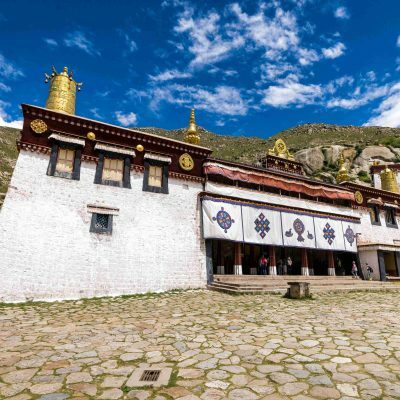 Today the two highlights will be the important monasteries. 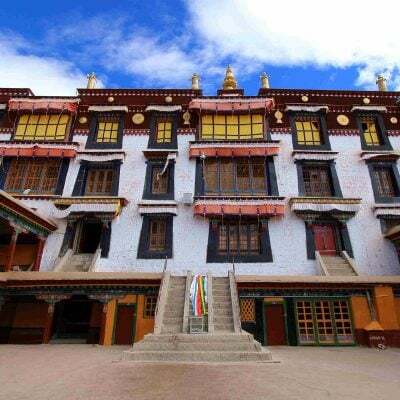 Drigung Til monastery is about 150 km to the East from Lhasa (4,150 meters above the sea level) dates back to the 12th century. 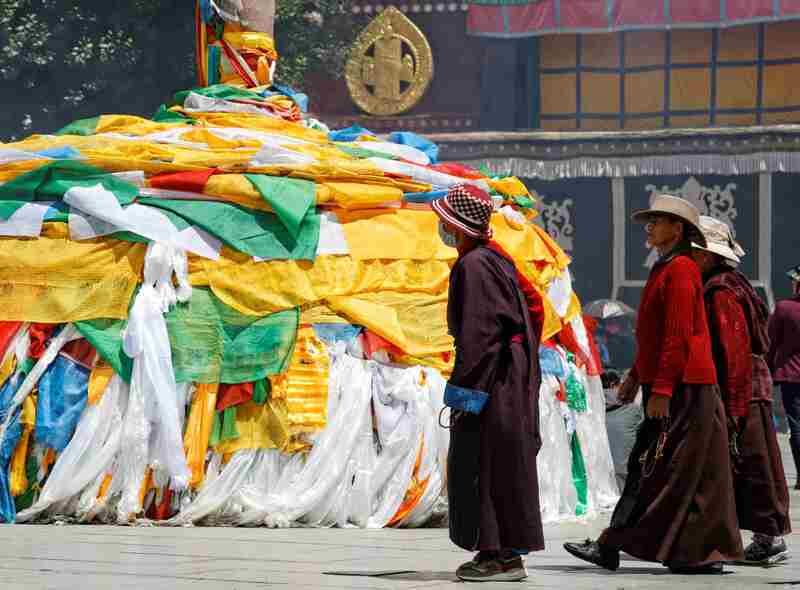 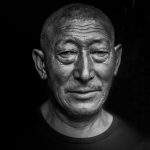 It belongs to the Kaguy sect of Tibetan Buddhism. 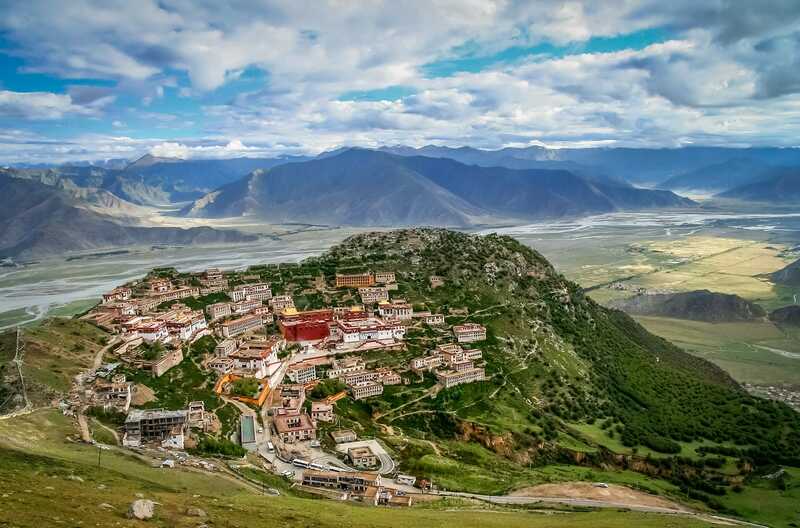 The monastery has a large sky burial site nearby, however, only Tibetans can visit it nowadays. 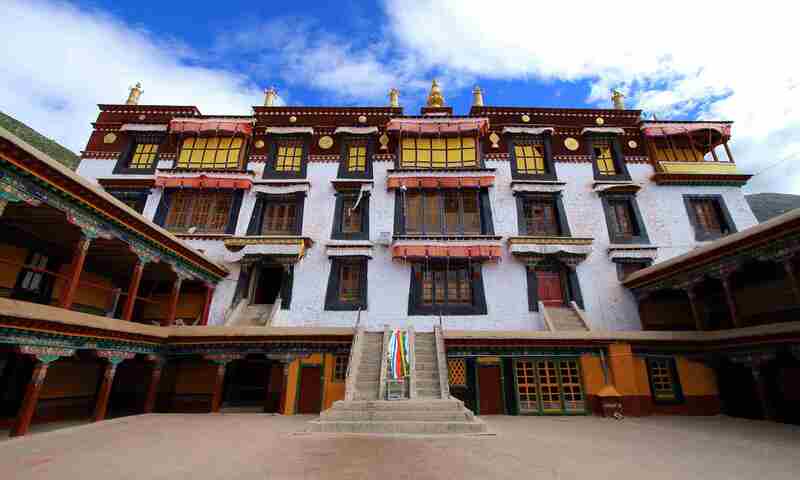 Reting monastery was founded by Dromton, the main disciple of Atisha, in 11th century. 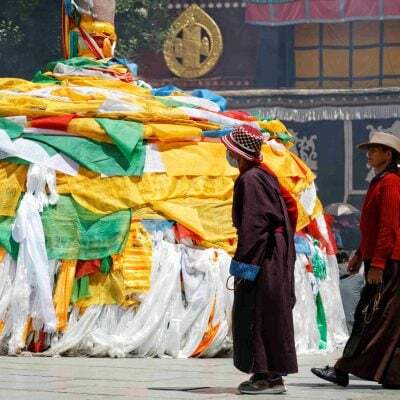 Originally, it belonged to Kadam sect of Buddhism. 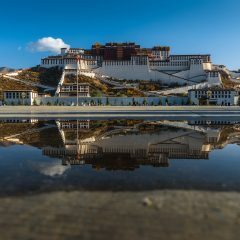 Later, it became an important Gelug center. 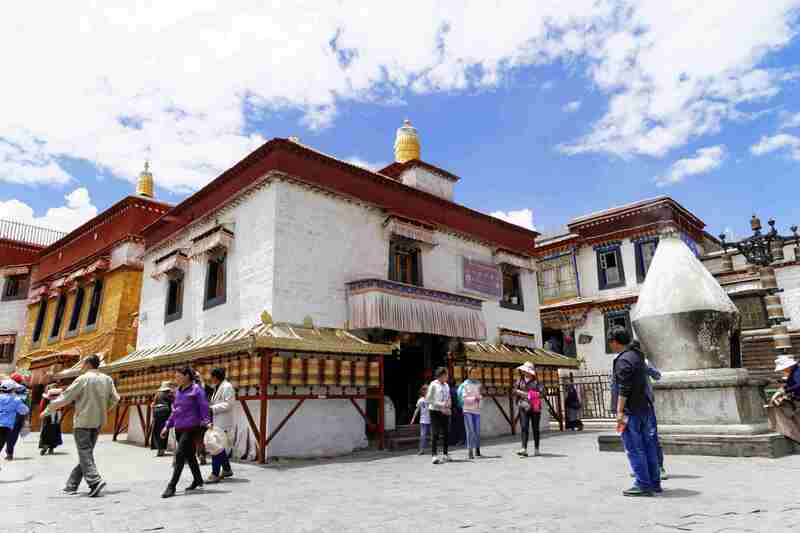 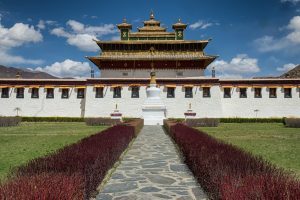 Rinpoches from Reting monastery were responsible for the search of successive Dalai Lamas. 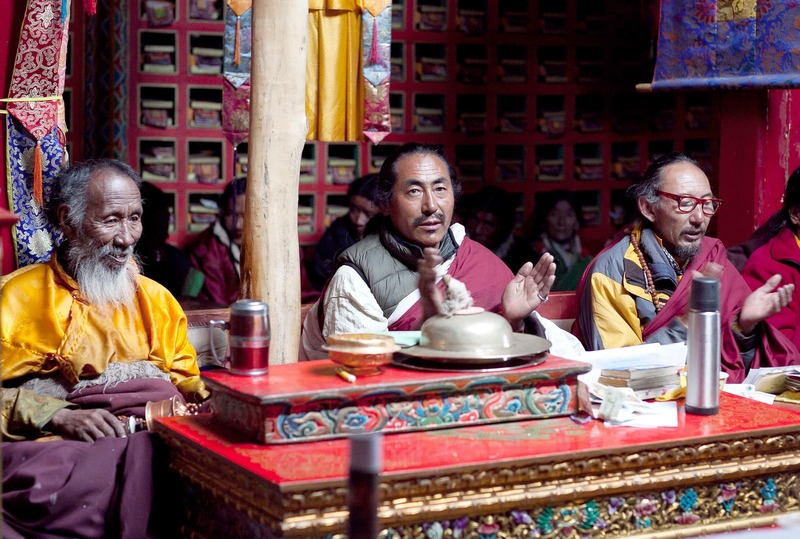 Reting Rinpoche was also a Regent during the time when Dalai Lama was young. 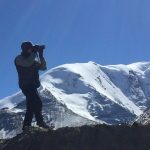 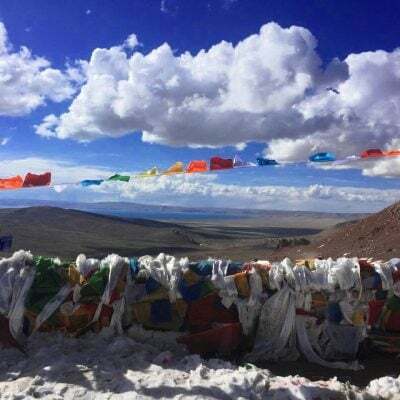 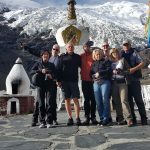 Day 6 – Driving from Reting monastery to Namtso lake. 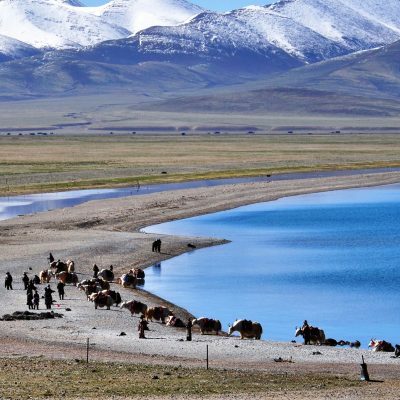 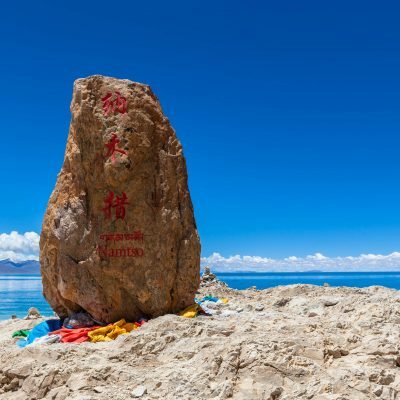 Today we will head towards the largest lake in Tibet – Namtso lake. 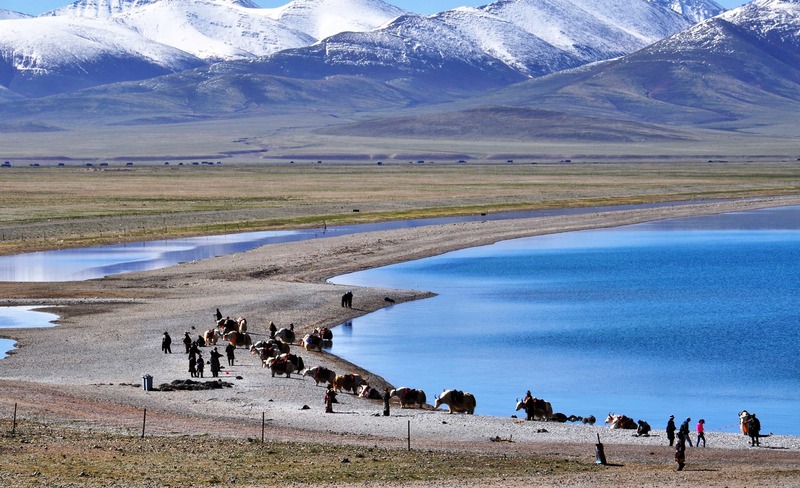 We will take the scenic road towards the lake driving through nomadic grassland area. 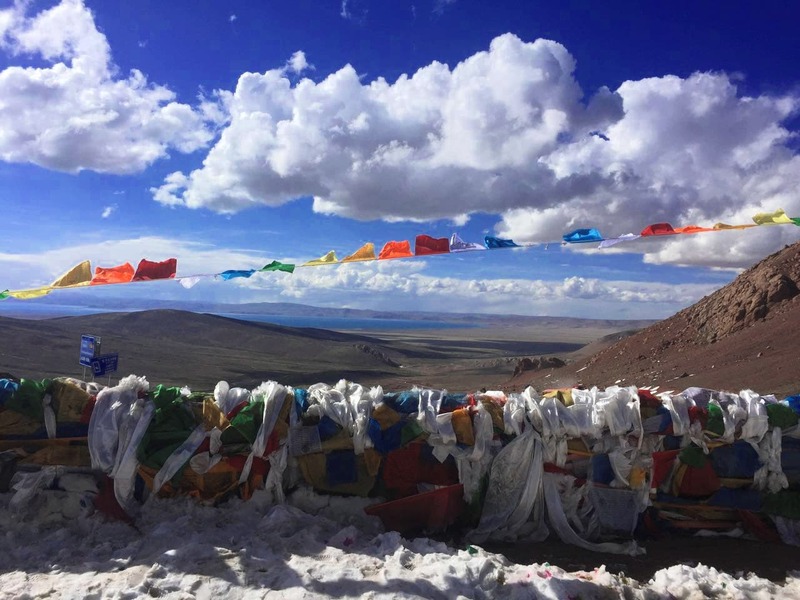 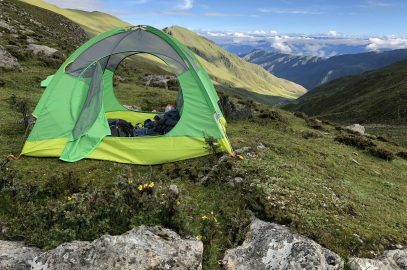 There will be high mountain passes providing fantastic views. 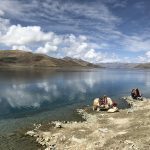 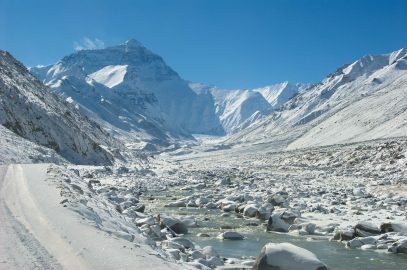 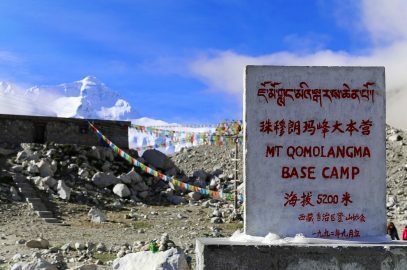 We will reach Namtso lake in the evening. 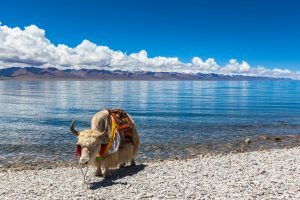 You can spend time, walking on the lake shore and enjoying the views. 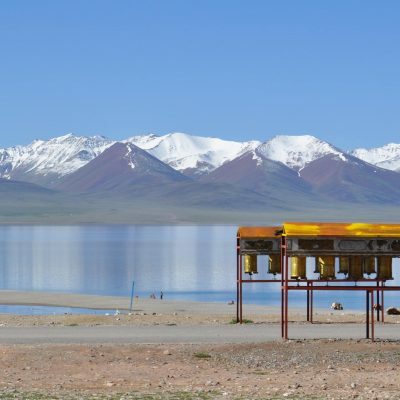 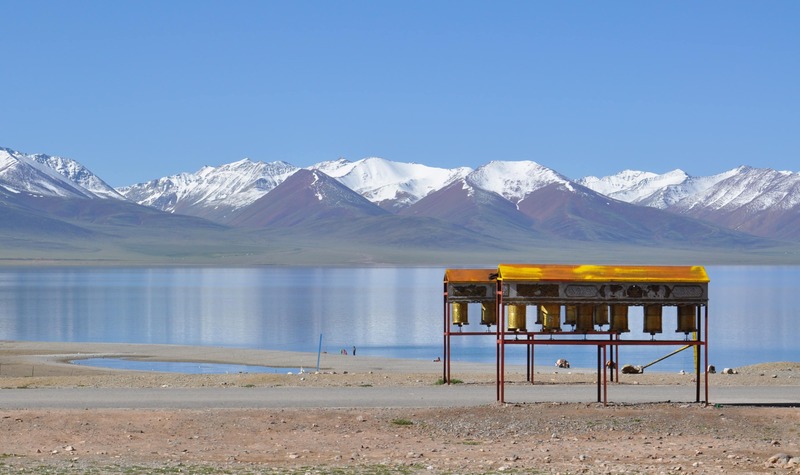 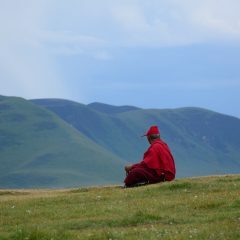 In the morning we will walk by the Namtso lake, before saying goodbye to it. 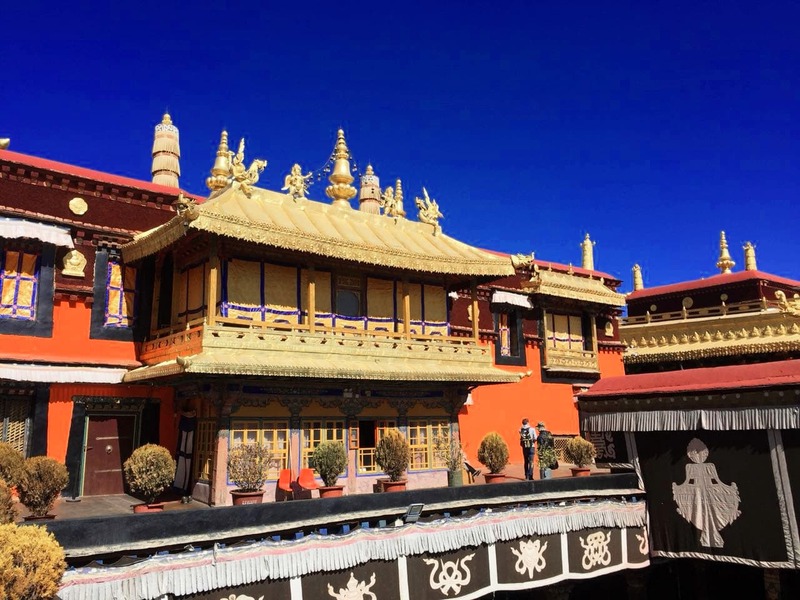 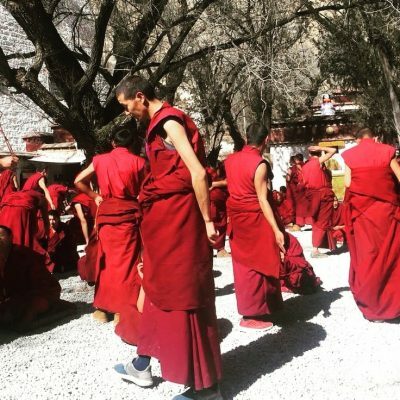 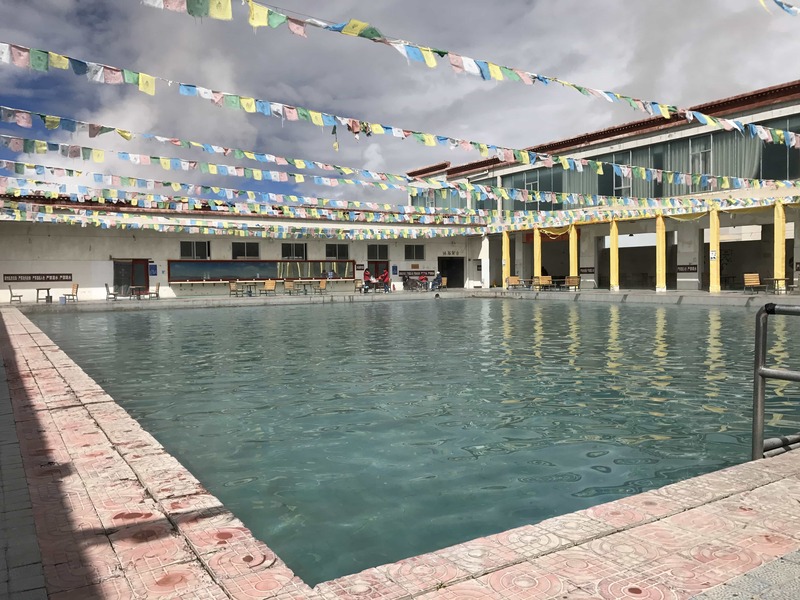 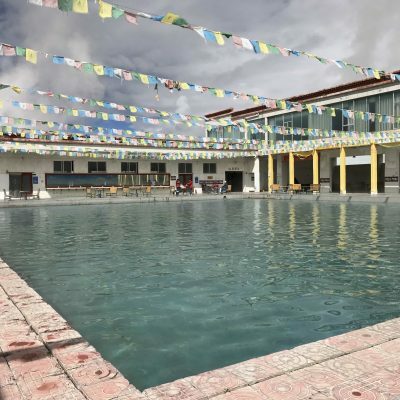 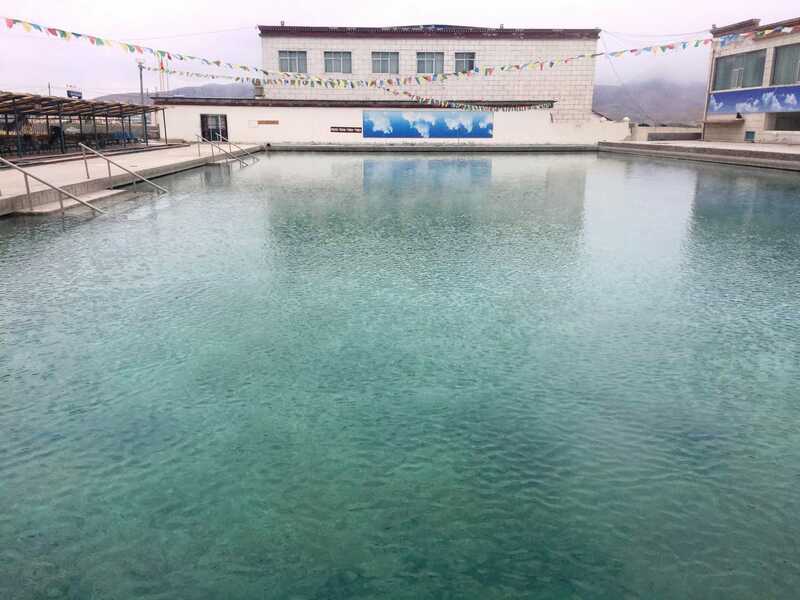 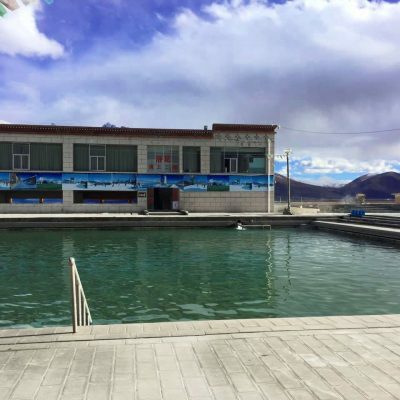 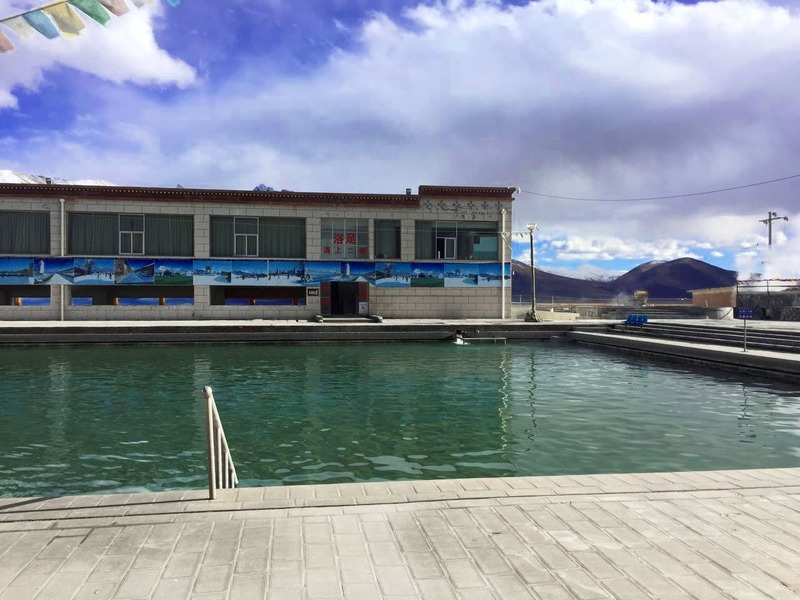 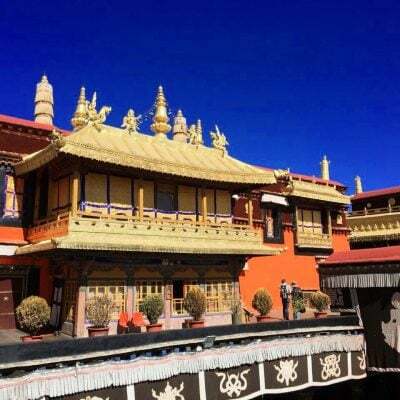 On the way back to Lhasa we will stop by the Yangpachen hot springs.The hot springs have two large swimming pools and a number of smaller ones. 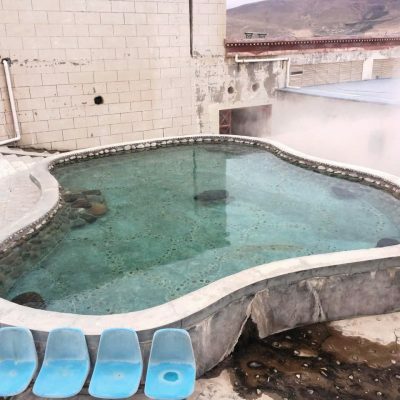 They are filled with the mineral water that is naturally hot. 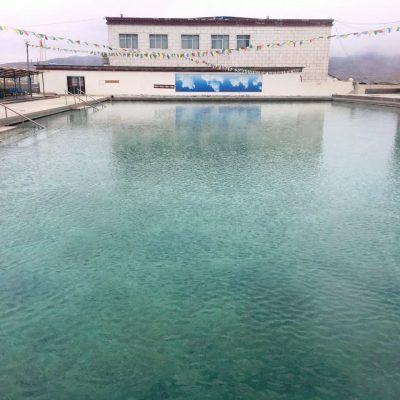 You can swim in the pools for an additional fee.